Buy Oolong a Coffee. - Ko-fi ❤️ Where creators get paid by fans, with a 'Buy Me a Coffee' button. I’m just a casual translator who enjoys translating various shows, songs, etc from Japanese to English. I like fish-themed fashion, delicious food, playing video games, etc. You might also know me as Clippy within the Gaki no Tsukai community. I love joking around and getting to know amazing people from the Japanese game show community around the world. Hello, I'm a subber who occasionally translates for Gaki no Tsukai and the 24 Hour No Laughing Batsu games. The donations are not necessary, but they are greatly appreciated! Secured Payments. Support goes to Oolong's account. 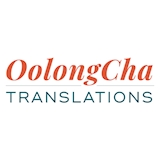 Upgrade Oolong to a yearly Gold Membership with a one-time payment.